A family-run security company in the north of England. How would you like to have a gate that opens at the press of a button? Are you worried about how safe your home’s perimeter is? Sonitech Systems Ltd have the experience and capability of designing and automating gates, barriers and bollards. Before we start a design that best accommodates your requirements, we provide a site visit and discuss and plan the entrance layout and best solution based on your specification. We pride ourselves on providing a professional yet personal service, for your entire gate and gate automation needs, because of this most of our work is via customer recommendation or repeat business. We supply, install, maintain and upgrade metal and wooden gates plus automation for both gates and garage doors. All our gates are made to order with a tailor made automation system to suit your individual needs. We are able to service, maintain and supply parts of all the major gate automation manufacturers. There are four main types of gate automation listed below with a brief explanation of their application. Linear operators are mounted on the back of the post. They are used to automate gates mounted on wooden or metal posts. They can be used to automate existing gates or as part of a new installation. Electric gates and gate automation offers protection, security and luxury for your premises; whether it be your home, office, or private land. Underground operators are designed to be set directly under the gate, usually replacing the bottom hinge. They are the most discrete form of automation and are especially useful for maintaining the appearance of metal gates. Articulated arm operators are used to automate gates mounted on brick piers. They are ideal for metal gates where undergrounds are not suitable. They can also be used to automate existing gates or as part of a new installation. Sliding gate operators are designed to be set at the back of a sliding gate and open the gate by rotating a gear which connects to a toothed rack which is fitted to the gate. 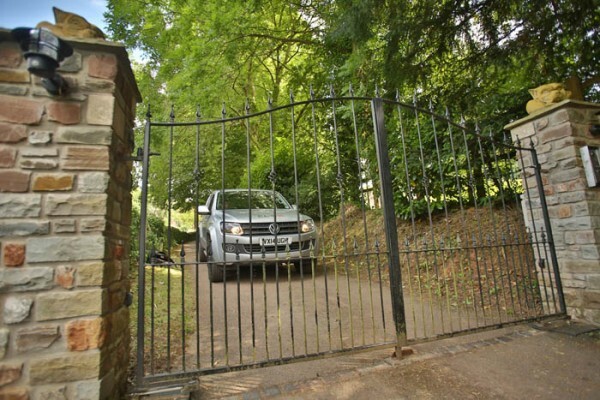 Sliding gates are an ideal solution for entrances where gates are unable to swing due to lack of space or a sloping drive. Sonitech Systems Ltd provides clients with a range of maintenance services that ensure your gate or other installation is operating at its maximum efficiency. With more than 25 years in the industry, we are dedicated to supplying customers with a reliable and efficient maintenance that keep your automated gates, bollards, barriers properly maintained and repaired at all times. With over 30 years’ experience with a family run company in the security industry, we pride ourselves on always looking after the safety of our customers and have a number of long standing relationships with many clients. Many times we have been congratulated on our engineers’ work, their cleanliness and their unobtrusiveness. With over 30 years experience with a family run company in the security industry, we pride ourselves on always looking after the safety of our customers and have a number of long standing relationships with many clients. Many times we have been congratulated on our engineers’ work, their cleanliness and their unobtrusiveness.